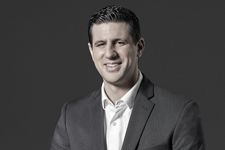 Bradley Zrihen is a Vice-President at Richter Consulting who is highly skilled in the assessment of restructuring strategies, business plans and cash flow forecasts. In addition, Bradley is experienced in advising lender groups in underperforming situations including development of integrated 13-week and long-term financial statement models, assessing company performance and providing operational and working capital recommendations. Bradley has worked in a wide range of industries including manufacturing, distribution, pharmaceutical, aviation and health care for both public and private companies. He recently played a key role in advising a lender group of multidivisional aviation parts distributor, including the development of a business unit profitability model, which resulted in a successful restructure. Bradley also recently advised a large Senior Lender Group of a ~$400MM pharmaceutical manufacturer on the transition and relocation of a manufacturing facility, cost reduction initiatives and projected liquidity implications.